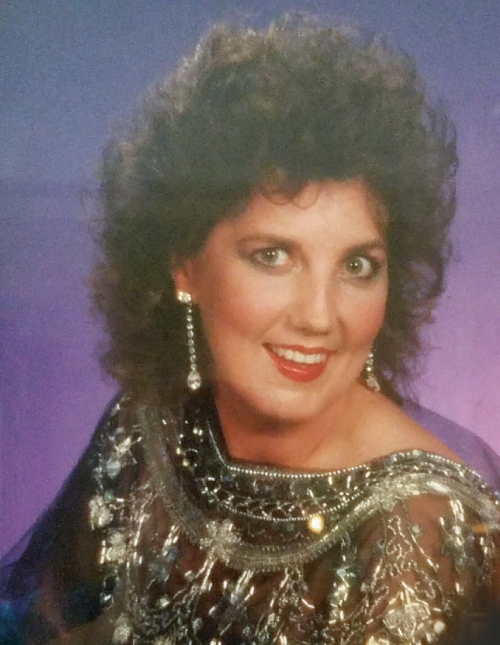 Mrs. Katheryn Lynn Groover, age 63, of Rome, GA, passed away at her home on Wednesday morning, July 11, 2018. A native of Rome and Floyd County, Katheryn was born on April 3, 1955, daughter of the late Clarence Melvin Lolley and Anna Bell Taylor Lolley. She had been a resident of Rome and Floyd County all her life and was of the Baptist faith. Prior to becoming disabled in 1999, Katheryn was associated with North West Regional Hospital for several years. Katheryn is survived by her husband, James Dennis Groover; daughters and son-in-law, Shannon Elizabeth and Daniel Allen Strange, and Kristy Waters; sons and daughters-in-law, Robert and Misty McQuese, and Jeffrey Shane and Kristy Groover. Eleven grandchildren along with other relatives and friends also survive. Funeral services for Katheryn will be held on Friday, July 13, 2018, at 12 noon in the Carl Sidwell Chapel of Salmon Funeral Home with Chaplain Ken Oates officiating. Interment will follow in the family plot of Providence Baptist Church Cemetery in Forney, AL. Katheryn’s family will receive friends at Salmon funeral home this (Thursday) evening from 6:00 until 8:00 p.m. The staff of Salmon Funeral Home is honored to serve the family of Mrs. Katheryn Lynn Groover.